Polypropylene Hernia Mesh | What Is Polypropylene? Polypropylene mesh is the most common type of synthetic hernia mesh. It is made from one of the most widely-used plastics on the market. Polypropylene mesh may reduce the chances of a hernia returning. But recent research suggests long-term complications may off-set its advantages. Most hernia mesh surgeries in the U.S. rely on polypropylene mesh. It is a durable yet flexible synthetic surgical mesh. Polypropylene mesh comes in either woven or non-woven sheets. And polypropylene mesh can be cut or shaped for specific types of hernia repairs. Manufacturers may coat or combine polypropylene mesh with other materials creating a composite surgical mesh. Polypropylene mesh is associated with several serious hernia mesh complications. Thousands of people have filed hernia mesh lawsuits over problems they experienced after receiving polypropylene mesh. Polypropylene is the second most widely manufactured type of plastic in the world – behind polyethylene. It is used in a wide range of products ranging from furniture and carpeting to electronic components and medical devices. Hernia mesh manufacturers use polypropylene in part because it is an inert plastic. That means it is chemically inactive and should minimize patient complications. But some researchers suggest its properties may change after it is implanted. Polypropylene characteristics include durability and strength. Polypropylene’s tensile strength — or ability to resist breaking under tension — is comparable to steel. These are all selling points for polypropylene’s success as a hernia mesh. Polypropylene mesh is a synthetic surgical mesh used for hernia and other soft tissue repairs. It works as a scaffold. Surgeons stitch torn tissue to the mesh to close a hernia. This leaves less tension on the damaged tissue. The first modern hernia mesh repair in 1958 used polypropylene mesh. Later, minimally invasive techniques popularized its use in hernia surgery. Polypropylene is a versatile and inexpensive plastic. Polypropylene costs less than most other synthetic fibers. Some polypropylene hernia mesh may cost as little $25 to manufacture, but makers may sell it for $2,000. What Types of Mesh Are Used to Repair a Hernia? Polypropylene mesh is used for most hernia repairs. Polypropylene mesh is the most widely-used type of mesh for hernia repair. Other leading mesh materials include polyester and ePTFE — a fluorocarbon polymer best known by the brand name Teflon. Manufacturers may combine these materials with others including titanium. Or they may coat meshes in materials to promote absorption or to prevent infection. Polypropylene has several features that make it one of the most popular materials for hernia mesh. It is thin and lightweight. Polypropylene allows manufacturers to create mesh with large pores and minimal surface area. But all hernia mesh materials come with unique advantages and disadvantages. 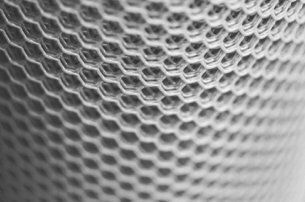 Manufacturers may sometimes coat polypropylene mesh with additional materials. This creates what the industry calls a composite mesh. The coatings may contain materials designed to help the body adapt to mesh. Or they may provide medicines to prevent infection. Notable coated versions of polypropylene hernia mesh include Ethicon’s Physiomesh and Atrium’s C-QUR. Physiomesh Flexible Composite Hernia Mesh consisted of a polypropylene mesh base between two absorbable films. 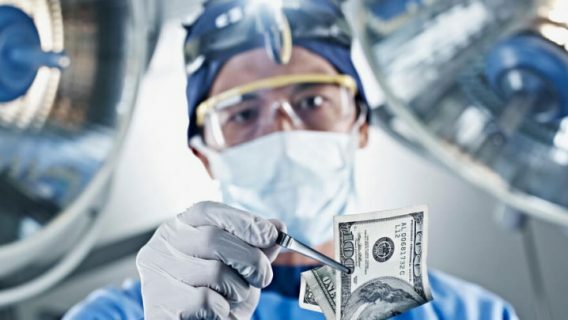 Ethicon removed this model of Physiomesh from the market after European hernia registries reported a higher than expected complication rate. Bowel obstructions and perforations are among the most serious polypropylene hernia mesh complications. These can sometimes be medical emergencies and require immediate surgery. Polypropylene mesh also shares several complications with other types of hernia mesh. The FDA says the most serious hernia mesh complications are associated with mesh brands that are no longer on the market or were the subject of hernia mesh recalls. What problems can polypropylene mesh cause for a patient? 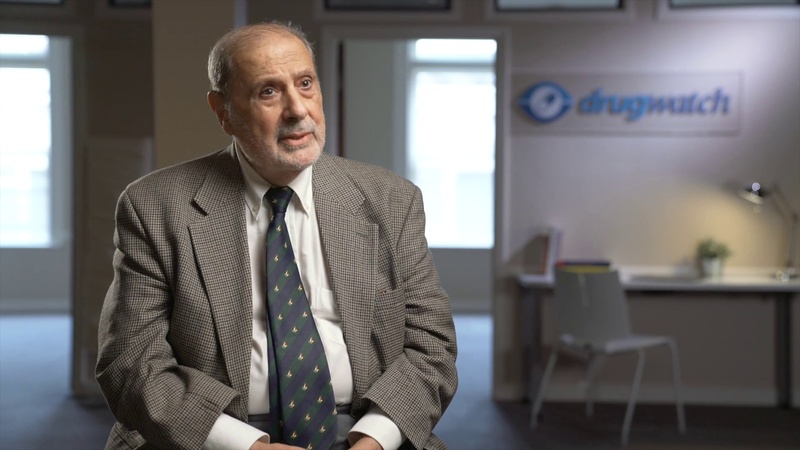 Dr. Robert Bendavid describes the most common problems with polypropylene mesh. 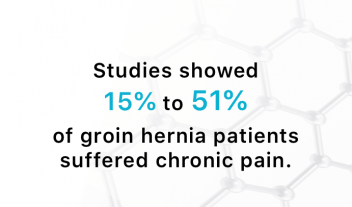 Chronic pain is the most common complication of hernia mesh surgery. But it is still unclear how common it is. Chronic pain is defined as pain lasting a year or more following surgery. 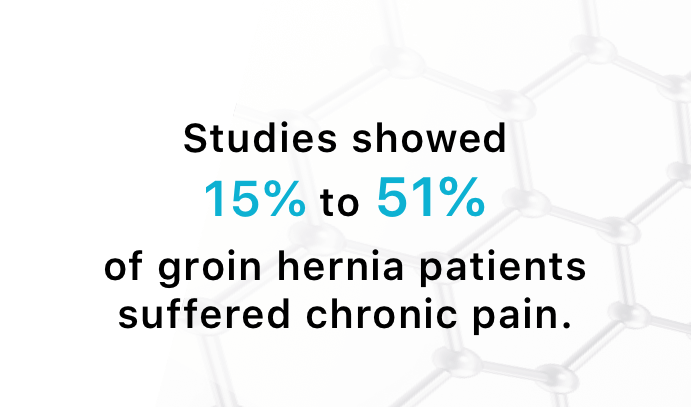 A presentation at the 2018 International Hernia Congress looked at chronic pain occurring much later after surgery. Researchers found 95 percent of such chronic pain cases may not happen until 10 years after surgery. In one case, the pain occurred 24 years after surgery. Polypropylene mesh is associated with fewer infections than other types of hernia mesh. But infection remains one of the most common complications of hernia mesh surgery. Infection may occur weeks, months or even years after surgery. A 2015 study in the Indian Journal of Surgery compared early and late infection onset. The study, “Early- Versus Late-Onset Prosthetic Mesh Infection: More that Time Alone,” looked at outcomes for about 100 patients. 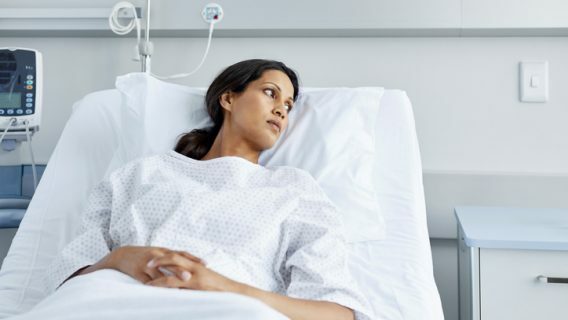 Researchers found that infection involving polypropylene mesh was more likely to happen more than a year after surgery. Most cases involved other complications. These included the mesh or surrounding scar tissue adhering to internal organs or blocking the bowel. Polypropylene is not generally toxic to humans. However, patients may experience hypersensitivity issues or other reactions to polypropylene mesh. This can sometimes lead to mesh rejection or other complications. A 2012 letter published in The Journal of Urology warned of potential problems with polypropylene degradation in the body. The letter was titled “Post-Implantation Alterations of Poly Propylene in the Human.” Its three authors pointed to case studies of polypropylene mesh shrinking or of other physical changes after it was implanted. They warned that some of the chemicals used to manufacture polypropylene mesh may “behave as toxic substances” as the mesh degrades. Why are there so many problems with polypropylene? Dr. Robert Bendavid explains why there are so many problems with poylpropylene. At least 120 surgical mesh products can trace their approval ancestry back to Ethicon’s Prolene Polypropylene Mesh. This was a surgical mesh on the market before the U.S. Food and Drug Administration regulated medical devices. All new polypropylene surgical meshes in the U.S. are approved through the FDA’s 510(k) process. That method only requires a device manufacturer show a “substantial equivalence” to a medical device the FDA already approved. A 2018 research article in the Journal PLOS One looked at the 510(k) process. It was titled “The Regulatory Ancestral Network of Surgical Meshes.” The study found that mesh manufacturers often compare new products to meshes that were recalled or associated with serious complications. Researchers looked at 77 new meshes approved between 2013 and 2015. They then traced the “regulatory ancestry” of the devices. Researchers found, 97 percent of the new designs could trace their lineage back to just six surgical meshes. All were available prior to 1976 when the FDA started regulating hernia mesh. Polypropylene is also used to make other surgical meshes – including transvaginal mesh. In May 2018, CBS’s “60 Minutes” program reported on problems with Boston Scientific’s polypropylene transvaginal mesh. Chevron Phillips made a polypropylene material it called Marlex. Boston Scientific used it to make transvaginal mesh. Chevron warned Boston Scientific that Marlex should never be permanently implanted in the body. Source: Plastics engineer Duane Priddy to 60 Minutes. Boston Scientific continued to use Marlex. Changing to another type of polypropylene would require getting another FDA approval. Tens of thousands of women have complained of serious complications from transvaginal mesh. More than 100,000 have filed transvaginal mesh lawsuits. Patients have filed thousands of hernia mesh lawsuits over complications they suffered after receiving mesh hernia repairs. 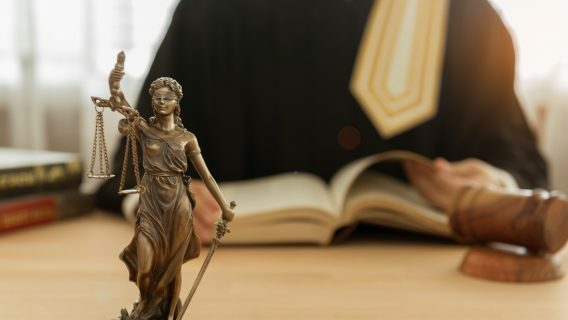 Many of the cases have been combined into multidistrict litigations (MDLs). MDLs allow several similar cases to move more quickly through the legal process. There are currently three hernia mesh MDLs. Each one involves a different hernia mesh manufacturer. All involve polypropylene-based hernia meshes. These lawsuits claim Atrium’s C-QUR caused serious complications after hernia repair. In 2016, the U.S. Judicial Panel on Multidistrict Litigation (JPML) combined C-QUR hernia mesh lawsuits in a New Hampshire federal court. These lawsuits claim Ethicon’s Physiomesh Flexible Composite hernia mesh caused serious complications that required revision surgery. In 2017, the panel combined Physiomesh hernia mesh lawsuits into an MDL in a Georgia federal court. The Bard Davol MDL is open to virtually all hernia mesh products the company makes. This includes a variety of polypropylene and composite meshes. The JPML combined Bard Davol hernia mesh lawsuits into an MDL in an Ohio federal court.